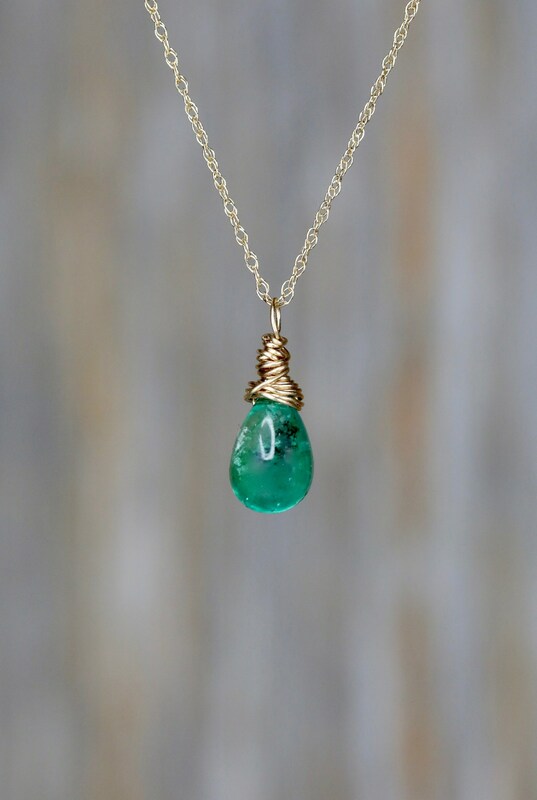 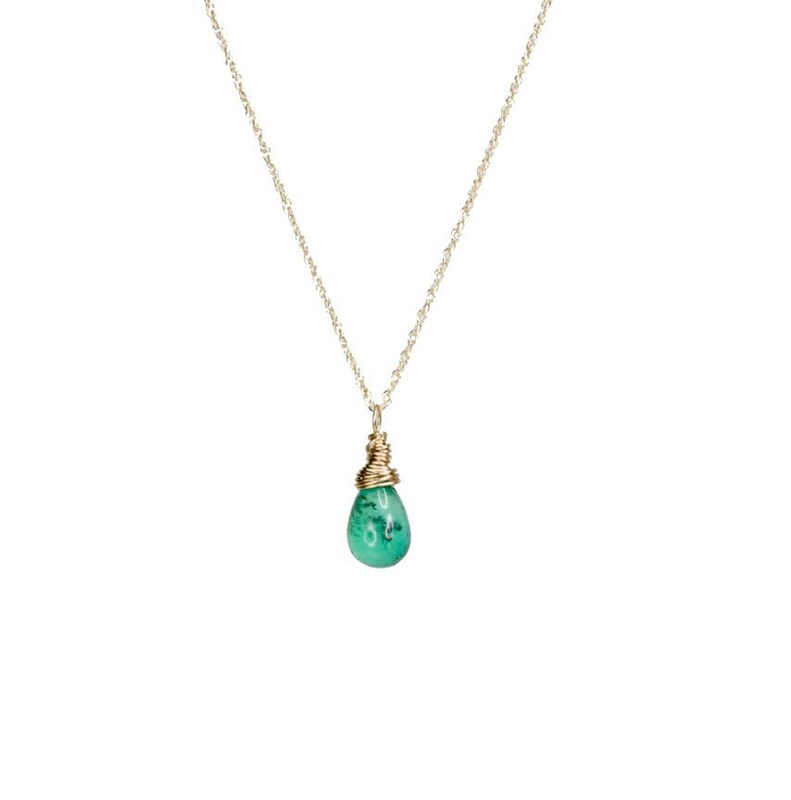 This is a genuine Colombian smooth Emerald Teardrop Gemstone Necklace artisan wrapped in 14k yellow gold wire and hanging from delicate 14K yellow rope chain. 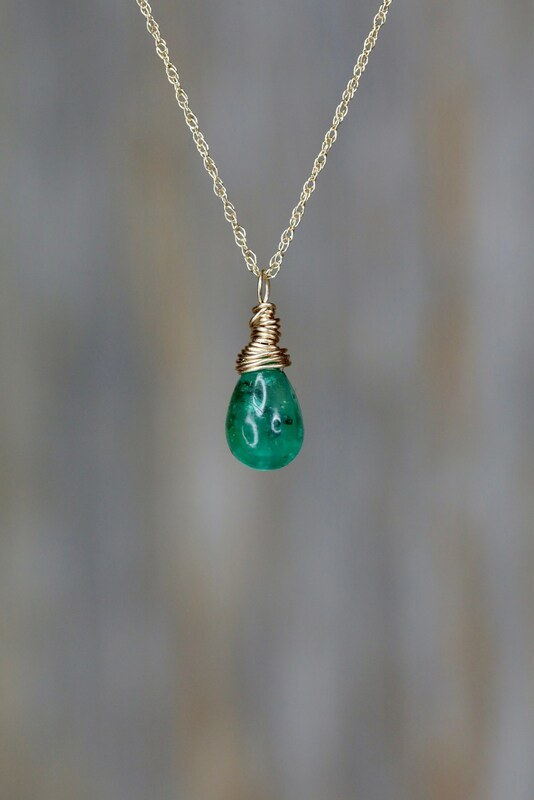 This is a gorgeous fine 2 carat Colombian emerald. 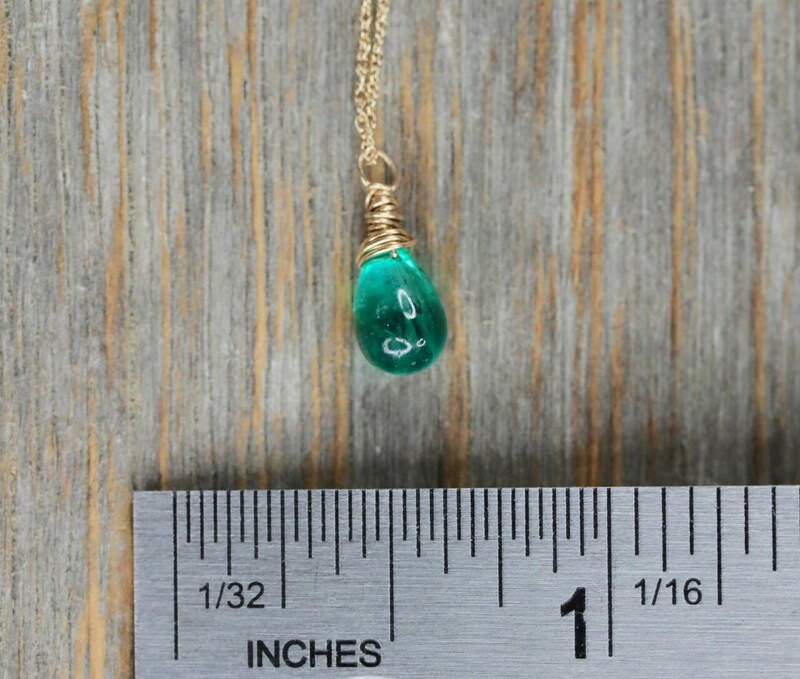 Dimensions are approximately 9mm by 5mm ( excluding the 14k wrap and bail). 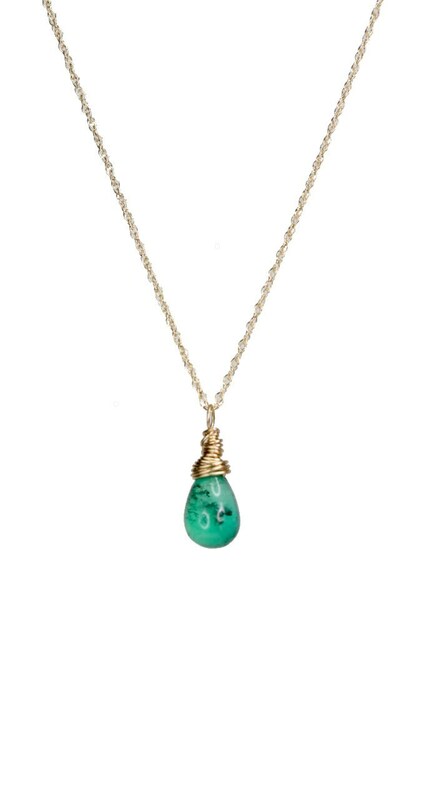 NECKLACE LENGTH: adjustable from 16 to 16.5 inches with spring ring closure.